The Thailand Optimist National Championships are incorporated in the Top of the Gulf Regatta and are run as an integral part of the regatta. In 1976 the Yacht Racing Association of Thailand started Junior Sailing, a programme to encourage and train young Thai sailors and send them to compete in international sailing events. 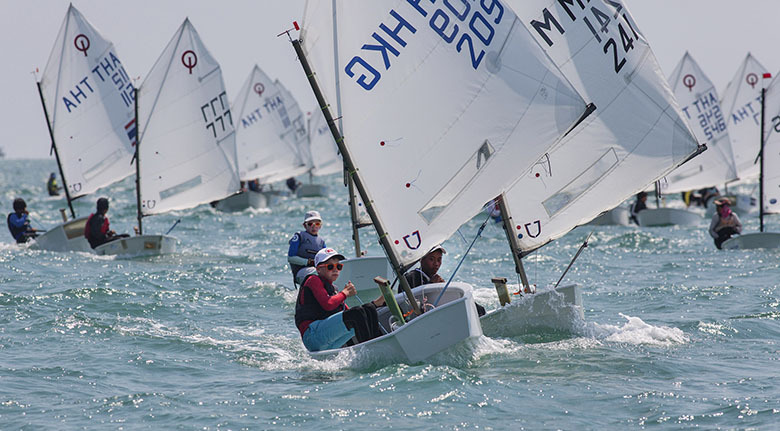 In the same year, YRAT started what was then called the Optimist Thailand Championship Cup, known today as the Thailand Optimist National Championships. The Thailand Optimist National Championships regularly attracts over 120 junior sailors from around the world each year. The Championships are as competitive as ever, with many leading Thai juniors, international teams and world champions competing for the title. The Championships have also proven to be a great training ground for beginner and up and coming sailors in the fantastic and safe sailing conditions of the Gulf of Thailand.